It's been so fun watching the Kansas City Chiefs this season, and the success of Patrick Mahomes II. I made this awesome t-shirt for my husband. 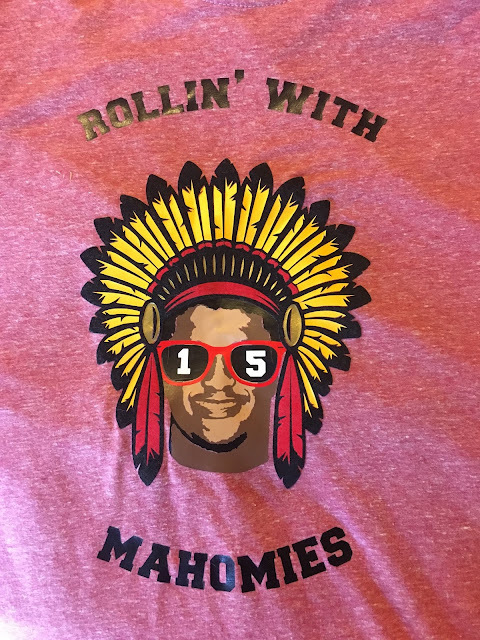 We are all "Rollin' with Mahomies" over here in KC! My files is available on Etsy for purchase.